Oxygen is very safe to use when you create the proper conditions. Keep oxygen equipment and oxygen tubing at least 10 feet away from any open flame. Keep equipment and tubing away from all flammable materials such as oil, grease, Vaseline and aerosol sprays. Do not permit smoking in the same room as your oxygen equipment. Do not use an extension cord with the concentrator. Keep the concentrator at least one foot away from drapes, bedspreads, walls or any other items that might block the inlet areas. Plug the unit into a grounded electrical outlet. Attach your tubing and nose piece to the concentrator. Locate the oxygen outlet port in the front of the unit. Attach one end of the tubing to the port. Attach the other end of the tubing to the nose piece. Turn on the concentrator by pushing the lighted on/off switch to the “ON” position. To set the liter flow, turn the flow meter knob. Turning the knob clockwise will decrease the flow, while turning counterclockwise will increase the flow. The knob should be turned until the ball in the flow meter is centered on the line next to the number of your prescribed flow rate. Note: Your liter flow has been set by the technician upon initial delivery. 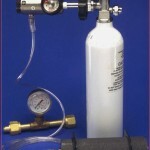 The liter flow should not be changed unless authorized by hospice. The outside of the unit may be wiped clean with a damp cloth. Keep the unit as dust free as possible. Remove and clean the filter as explained by the equipment company. If you experience a power outage, or the concentrator stops working, use the back-up tank. Attach your tubing and nosepiece to the back-up tank regulator outlet. Turn the back-up tank knob counterclockwise to turn the tank on. The back-up tank knob is located on top of the tank. Locate the flow meter knob on the back of the regulator. This is a small black knob. Turn the flow meter knob to adjust your liter flow, if it is not adjusted properly. Call your hospice nurse at least 24 hours in advance to place an order. Check your supply of portable oxygen before the weekend to ensure you have enough. If you are having trouble with your equipment, call Bright Horizon Hospice. In the case of fire, close all open oxygen vessels and evacuate the area. Compressed oxygen should not be used to power pneumatic tools. Avoid using oxygen in a tightly confined area. Never carry or store an oxygen vessel in a tightly closed space like a car trunk or closet. Do not lay the oxygen cannula or mask on any flammable material with the oxygen flowing when not in use. For example, laying the cannula with oxygen flowing on the bed covers will result in the saturation of the cover with oxygen. This could result in dangerous fire if the bed covers were to become ignited. Avoid using oxygen in an area with open flames. Do not allow oxygen to touch Vaseline, petroleum jelly, oil or grease. Fire may result. Keep tanks away from any source of heat or electrical cords and appliances. Do not store flammable gasses or liquids in the same room as oxygen. Do not attempt to dispose of unused oxygen. All vessels must be returned to the equipment rental company. Do not attempt to repair or alter any oxygen vessel. Call hospice or the supplier. DO NOT use oxygen with any petroleum products such as Vaseline, oil or grease. Fire will result. Do not allow liquid to touch the skin. Severe burns will result. Liquid oxygen is extremely cold. Do not fill the portable tank over asphalt. An explosion may occur. Fill portable tanks only in well-ventilated areas and away from open flames. Always keep liquid vessels in an upright position. Never permit oxygen to enter the regulator suddenly. Always open tank first and regulator second. Do not store oxygen tanks in a closely confined area such as a closet. When possible, store oxygen tanks in their specifically designed stands or carts. When stands or carts are not available, store tanks by lying them down on the floor in the horizontal position. Failure to do so could result in serious injury. Store empty and full tanks separately. If you experience difficulty with your oxygen concentrator, please follow the guidelines listed below. If you are unable to resolve the problem, call Bright Horizon Hospice at (559) 443-0303. Your oxygen concentrator is plugged in and turned on. Your flow meter is set to your prescribed flow. Your nose piece is attached to your tubing. 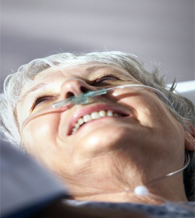 Your oxygen tubing is attached to your oxygen concentrator. Remove your nose piece and place in a container that will collect the water. 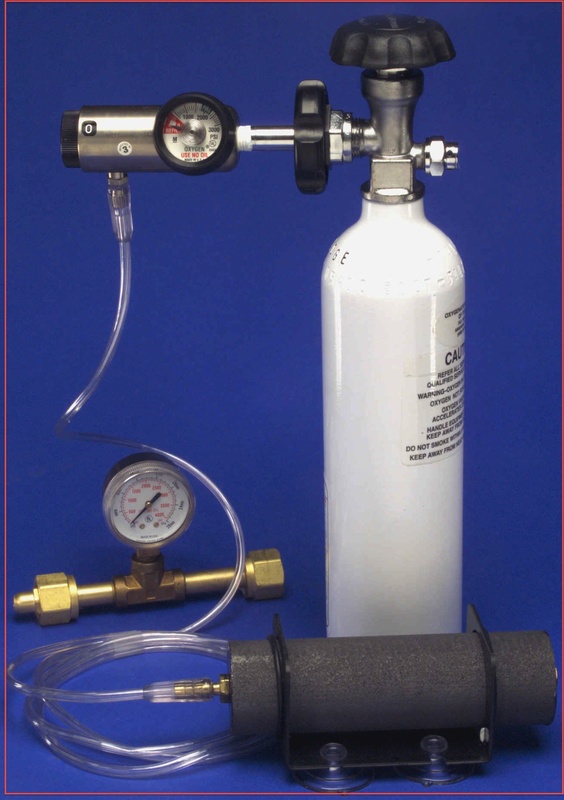 Attach your oxygen tubing directly to your oxygen concentrator. This will help eliminate the water from your oxygen tubing. When your oxygen tubing is dry, attach your humidifier. Plug is securely in outlet. You have pressed the reset button. Disconnect tubing and check for nicks in tubing and nose piece. Replace tubing and check to see if flow rate is restored.